XIX c. Solar desalination and the chilean press. 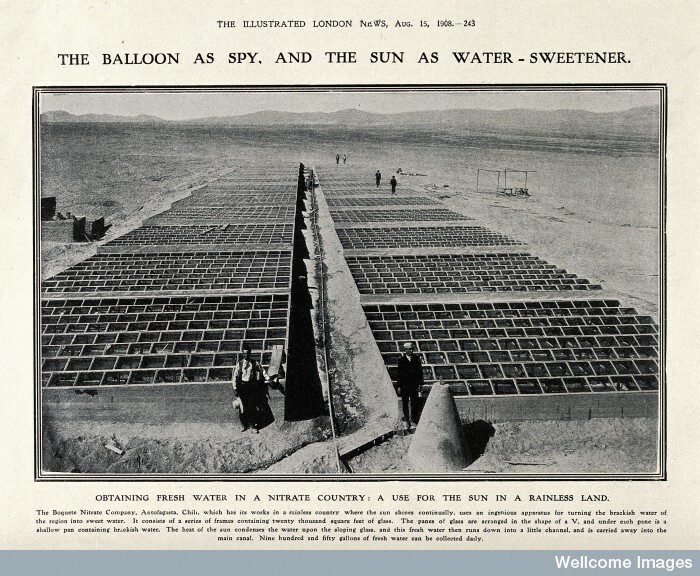 – History of Solar energy technologies. XIX c. Solar desalination and the chilean press. Santiago de Chile, April 10, 2017. An interview was published by “El Ciudadano”, on line journal, spreading results and work in progress about the research focused on solar energy technologies. The whole interview is available, in spanish language, here. And a video by ALADYR Seminar 2012 here. Next Presentations 2017. SLAS (Glasgow) ICHST (Rio do Janeiro) & 4S (Boston).